We’ve got your horror comics needs covered at Paste, whether you’re looking for a comprehensive overview of all that the fright genre has to offer, a breakdown of notable scares from terror’s grandmasters or sneak peeks at the next big thing in dread. Our easily spooked editors are full-blown scare-junkies, and the advent of summer signals that Halloween is just around the corner (kind of). 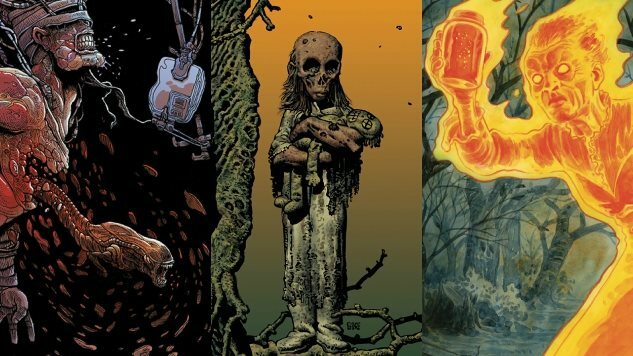 To help tide our fellow horror devotees over until Samhain season, Paste rounded up 13 of the most fear-inducing comics currently on stands, from socially conscious body horror to epic-scale fantasy terror. Unlike our all-time best list, these titles are ongoing or recently concluded, offering gorehounds and jump-scare addicts alike a still-fresh corpse on which to feast during the sweltering months of summer.